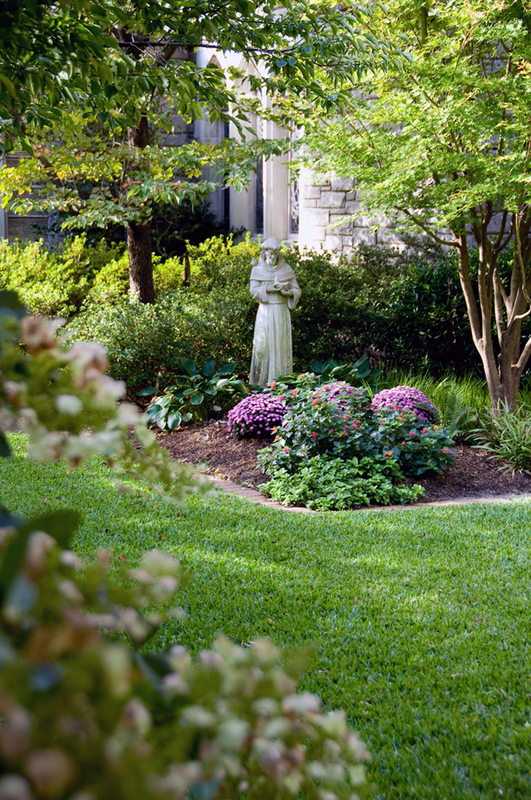 St. Francis Garden at St. Mary's Episcopal Church has been designed to be a place for prayer, reflection, conversations, gatherings, photographs, and a final resting place for the cremated remains of church members. The garden itself is lovingly cared for by a member of the church. The flowers are changed throughout the year so that there is color in every season. The garden is named for Francis of Assisi, the founder of the Franciscan order of the Friars Minor, an admirer of nature and a servant to the poor and destitute. We hope you will visit St. Francis Garden and that it may be an entry point for involvement in the wider community of the faithful at St. Mary's Church.